I just noticed you had a blog! Yay! I had sushi for the first time when I was pregnant with my son...he just turned 21 so it was awhile ago. It's my favorite food! 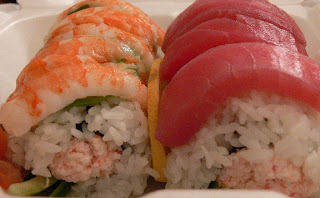 Most people like California rolls, it has crab and avocado. My favorites are salmon, tuna or eel.